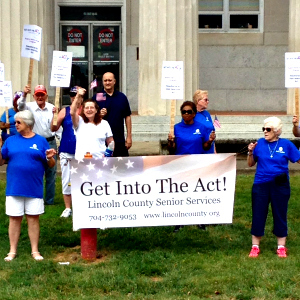 One of the core activities of the Area Agency on Aging is Advocacy for older adults. We accomplish this through participating in local, state and national committees, working closely with Senior Tar Heel Legislature and keeping informed of the most recent initiatives to help build capacity and serve older adults in our region. Find out who your North Carolina representatives are by clicking here.